With Afrikaburn 2013 starting in less than a week I thought I’d post some of my old Afrikaburn Pics – specifically my 2011 pics as last year I was in Motorbike mode, not photography mode. 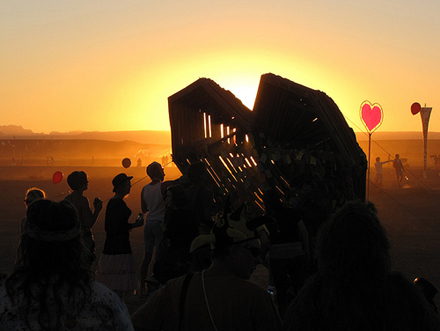 After 4 years on the trot, I wont be going to Afrikaburn this year. I’m goin to Kgalagadi to see some other wildlife. 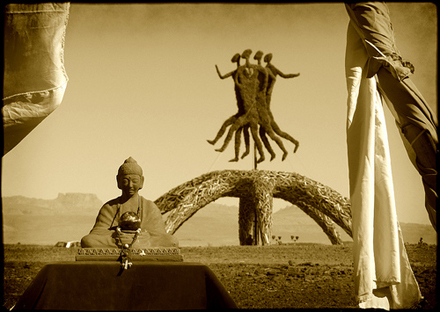 As usual there is just so much to say about the AfrikaBurn festival in the Karoo, that starting is daunting. So I thought I’d just relate a little experience I had on day 5 (sunday). 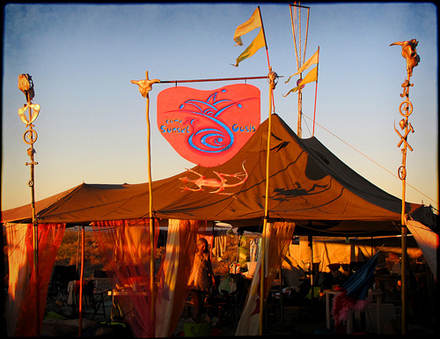 This year I rode up to Afrikaburn on my motorbike and registered it with the Department of Mutant Vehicles (DMV) . When it comes to other bikers, bikers are a friendly lot, so it wasnt surprising that when 3 large offroad bikes arrived on Sunday (the night after the Burn), the one guy came up to me. He was from Pretoria with his other two mates and they were just on their way biking through the Karoo, escaping city life, when they came past the AfrikaBurn turn-off sign. They’d never heard of Afrikaburn. However he had experienced a bad fall on his bike a few hours previously and they needed a place to stay for the night, so they followed the Afrikaburn sign. Although there was a strict No Ticket – No Entry policy in force this year, the good folks at the gate of the camp must have made an exception given that it was day 5, and the guy had had his fall.